This summer, you may find yourself joining millions of Americans who are taking to the open roads. While most trips are regional, some families head out for several weeks in a bid to visit the Canadian Rockies, the Grand Canyon, New Orleans and sites in between. Before you head out you’ll want to make certain your car is ready for a long trip. You should also keep several precautions in mind. 1. Perform a thorough inspection. The longer you drive the more wear and tear on your car, therefore it should be in tip-top shape before venturing out. Inspect your tires to ensure that each one has enough tread left. Tires should be properly inflated and recently rotated. Don’t forget to check your spare too. Under the hood, your battery should be working properly with gunk buildup removed. Make certain that all cable connections and hold downs are secured. Inspect belts and hoses, replacing worn, bulging or blistered components before you leave. Check the air filter, change the oil, inspect fluid levels and perform brake, suspension and exhaust system checks too. This can be a good time to have your mechanic look over your vehicle before you take a journey that can add 1,000 miles or more to the odometer. Make sure that your windshield washer solvent is full and that the wiper blades are fresh before you hit the road. 2. Have an emergency plan in place. If your car breaks down what will you do? For many travelers, a roadside assistance club is an important investment. Look for a plan that provides lock-out, tire changing and towing services. Opt for a premium plan if your journey will take you to remote places. You’ll pay a mint for towing if you don’t select a comprehensive plan that comes with long-range towing. Should your car break down, you may end up doing the repairs yourself. Provided that you have the right equipment with you. Verify that your tire change equipment is present. You should also bring with you a wrench, pliers, screwdrivers, duct tape, an air compressor, a battery charger, and lubricant. Consider also an emergency kit with personal supplies such as dried food, water, lighting, blankets, a poncho, and gloves. 3. Be mindful of other vehicles. Warmer weather brings out more vehicles. When school is out, roads can quickly become crowded. Motorcyclists, absent during the coldest months of the years, are out in force once the weather begins to warm. For example, tens of thousands of bikers descend upon Sturgis, South Dakota, in early August for a bike festival. Expect bikers to flood highway and byways across North America leading up to and well after this event ends. You’ll also encounter your share of hitched vehicles, typically pickup trucks and SUVs pulling a trailer, a camper or a boat. Allow extra room between these vehicles and your car and keep in mind that stopping distances are longer when anything is in tow. 4. Children and pet safety. Families with youngsters and pets along for a ride can have much fun while on the road. Both children and pets may also find traveling a challenge with frequent stops needed to keep boredom and bathroom accidents at bay. Parents should remember that cars can get very hot in the summer, therefore neither children nor pets should be left alone in a car even if the engine is running and the air conditioner is blasting forth cold air. It is illegal to leave children untended and can that decision can result in your arrest, even if risk of heatstroke is diminished. Another concern for travelers is bright sunshine, what can blind you while you’re driving. 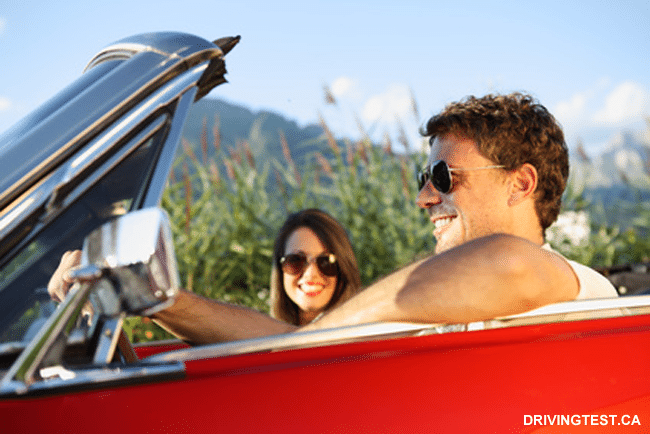 Investing in a good pair of sunglasses can provide you with sufficient protection. Don’t forget your children need eye protection too.